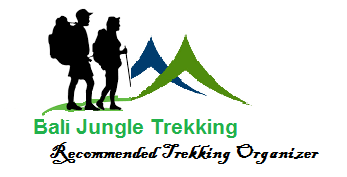 Are you looking for Best Bali Trekking Company that already get recommendation for The Trusted Recommendation site? 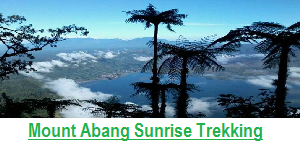 I am sure your answer is same with 1000 other people in the world which is your answer is YES, that way in this nice opportunity We as a Local Bali Trekking Organization would like to give you Some Trekking Program in Bali which all of the program already get Excellent Comment on TripAdvisor, they are Tambingan Jungle Trekking, Sambangan Trekking Tours, Mayong Rice Field Trekking, and Batur Volcano Trekking. 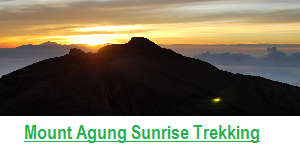 these Trekking Program already design exclusively for you and for your memorable holiday in Bali. 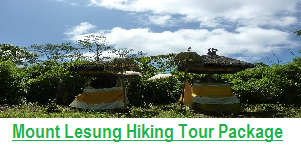 Tamblingan Jungle Trekking Get the best comment on TripAdvisor as The Best program for Trekking Tour to the Real jungle of Bali, and this treks combine with visiting old legend temple inside the Jungle and Crossing Tamblingan lake by traditional dugout canoe. 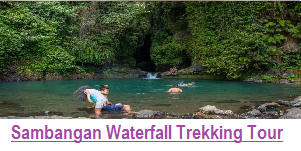 Sambangan Trekking Tours get the best comment on TripAdvisor as The Best Trekking Program in Bali for Trekking tour to most wonderful waterfall, which you will visit 7 unique waterfall and beside that you also will be able to do Water attraction such as Jumping in Kembar Waterfall and Sliding in Kroya Waterfall. 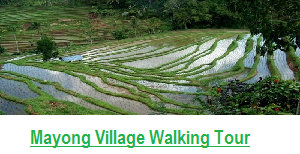 Mayong rice field trekking Tours get the best comment on TripAdvisor as The Best Trekking program for Trekking tour to the rice field in Bali, beside you will explore Beautiful rice field of Mayong Village you will see the daily activities of Local Farmer, and the Sacred Valley of Mayong Village. 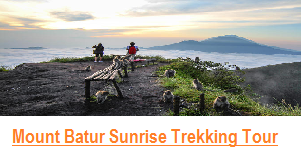 Batur Volcano Trekking Tour is the best trekking program on TripAdvisor for Bali Sunrise Trekking tour in Bali, which you will see wonderful sunrise when you on the top of the mountain, this trekking tour will start in the early Morning.